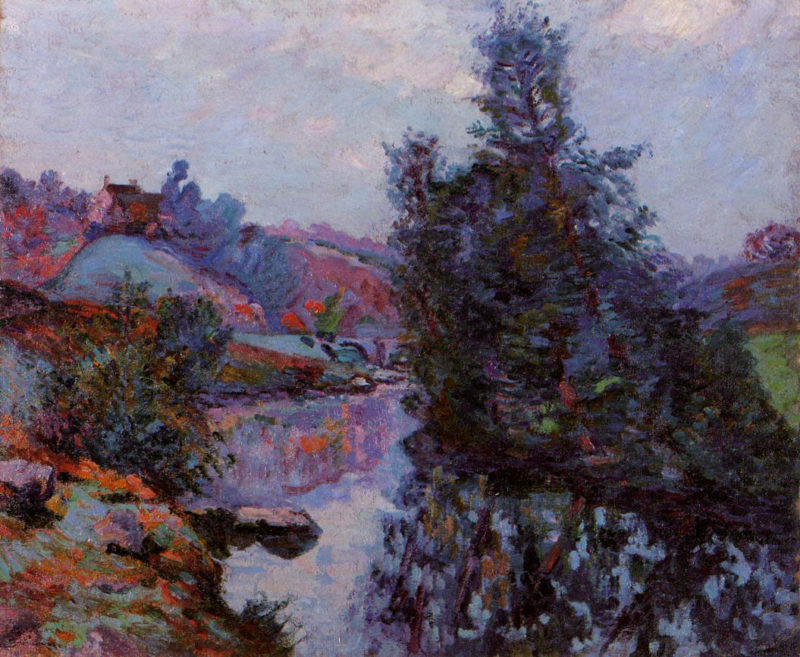 This month's Art Bead Scene challenge inspiration is a painting by French impressionist Armand Guillaumin. You can read more about the artist and the challenge over on the ABS blog HERE. I've been pretty smitten with this color palette and am glad that I managed to get back around to making one more design inspired by it before November disappears. 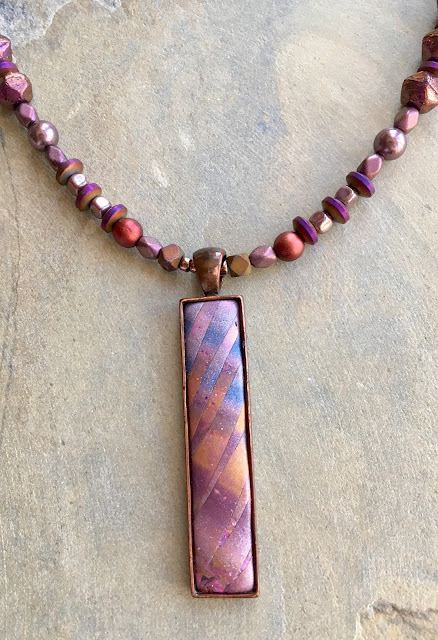 One of the art beads that had originally caught my eye for this challenge is one of Erin Prais-Hintz's gorgeous pendants from her Papilio collection. (If you haven't already figured this out, I'm really addicted to Erin's creations that she shares through her business, Tesori Trovati.) This one is Papilio: Euselasia and is just an wonderful combination of soft colors. And, speaking of soft, Erin finished the polymer clay to a satiny soft finish that you will not believe! For this strung necklace I added a collection of beads in different materials including Czech glass, plated hematite, vintage plastic, and Swarovski pearls. I had fun playing with a variety of shapes and finishes. I'm planning on whipping up some dangle earrings to go along with this one before my Holiday Open House on Sunday. And with that said, I'd better get back to work!! 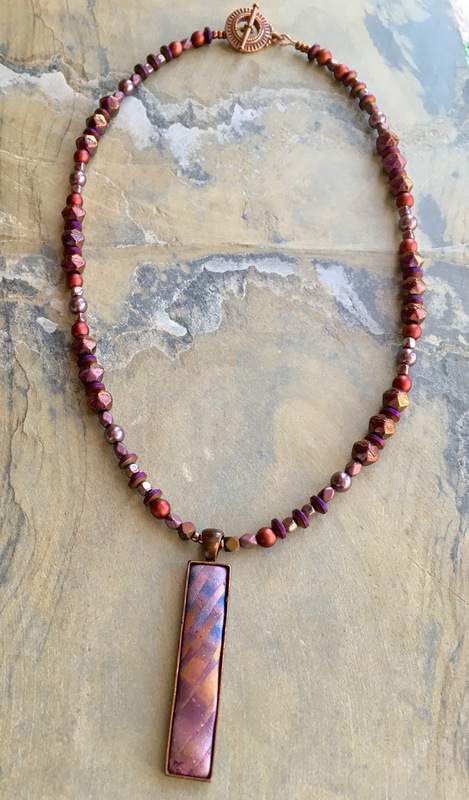 Beautiful n necklace-- love the pendant and the beads you chose to complement it! Gorgeous! I love the softness and shiny combination. Another winner! That gorgeous pendant apparently was in good hands - love this interpretation! Beautiful! you set that pendant off so well!